In 2009 – 2010 Via Libre undertook a pilot study on Standardisation in relation to accessibility of tourism services for disabled people in a sample of European countries: Austria, Belgium, Denmark, France, Germany, Norway, Spain and the United Kingdom. 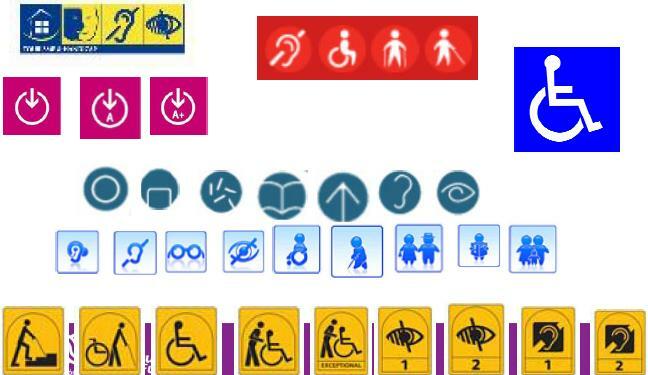 Today, all European Union (EU) Member States have different forms of legislation which require access for people with disabilities to the built environment. However, the European Union as a whole does not have a single set of Standards for disabled access. Nor are there common standards for accessibility in relation to tourism venues or tourism services. Moreover, in the few EU Member States and neighbouring countries which do have technical Standards for disabled access in tourism, these Standards are not harmonised with each other. Therefore, for any disabled traveller, either from an EU member state or from overseas who wishes travel to an EU country for business or for pleasure, the lack of similar or coordinated access standards can be a serious challenge. Choosing a suitable destination is limited by the difficulty of obtaining reliable information about access prior to travel. And after setting off on a journey the disabled traveller can encounter very different access quality in transport, venues and services. Finding out about the suitability of access conditions before travelling is not a trivial matter for disabled travellers. It determines both how and where they will travel, or if they can travel at all. Therefore, the accessibility Standards and related measures which are used in the countries of Europe are of fundamental importance to intending visitors who need good access. It should be said that the current lack of common technical Standards for disabled access in the EU can be seen as a simple consequence of the Union’s historical development, whereby nations and regions continue to exercise their sovereignty over their own matters in this area, based on the legal principle of subsidiarity. To arrive at a common approach and a common set of technical standards in all the member states of the EU would require a careful reconciliation of the political and legal, as well as the technical issues involved. In this study, the political and legal dimensions of the subject are not addressed in depth, the main focus being on technical aspects. The study examines not only which Standards exist and what they contain, but also the effectiveness of the Standards, as judged by a sample of tourism providers, by experts and also by the ”beneficiaries” of the Standards: visitors with disabilities and mobility problems. The report, "Study of European Standardisation of Accessible Tourism Services" (2011), is published by Fundación ONCE in English and Spanish (print version, paperback). Download the slide presentation from the right-hand panel in PDF format. Via Libre and Fundación ONCE are ENAT Members.